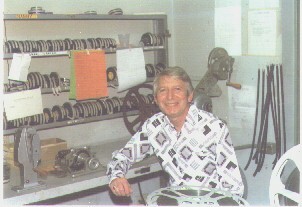 Irving Gushin was head of the Film Department at Channel 13 KCOP TV in Hollywood California. 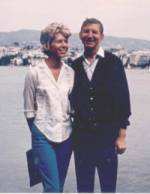 The sorrow from the loss of my only parent that loved me, lasts a lifetime. The remembrance of his hopes and dreams, brings sadness to my heart. He had a beautiful voice. When I was young, he use to sing to me. He was creative and loved the arts. We spend many a day talking about what what was of value to us. My mom thought it was foolishness. I learned about dreams that he had that never came to pass. His unique talent became buried in the sea of self doubt and low self esteem. I always remembered his gift of song, and so did my son, Daryl. Copyright © 2000-2010 Barbara Joan Gushin all rights reserved. In one of the videos, some might recognize the actor, Robert Alda by the pool.